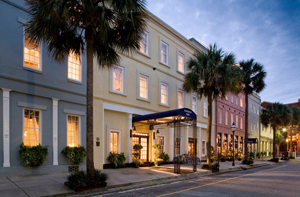 In the heart of Charleston's Historic District, just a block from the port where cruise ships arrive at and leave the Holy City, is the award-winning Vendue Inn. This boutique hotel offers a rare blend of genteel warmth, exquisite luxury and the vivacious lifestyle of a coastal Southern city. Guests can expect flawless service from the moment they arrive, as well as luxurious bedding, plush bathrobes and a nightly turndown service. Many of the 66 rooms feature fireplaces and marble whirlpool bathtubs. There's good reason why USA Today named Vendue Inn "one of the top 10 places for connubial bliss." The pampering doesn't stop there, however. Guests can indulge themselves in a full complimentary Southern breakfast, served, most appropriately, on white tablecloths. An afternoon manager's reception of wine and hors d'oeuvres, along with evening milk and cookies continue the primo treatment. The Vendue makes it easy for its guests to see as much of the beautiful city of Charleston as possible, providing complimentary beach cruiser bicycles. After all, the city is one giant historical destination. The Vendue Inn's Rooftop Bar & Restaurant is open from 11:30 a.m. until midnight and features live music on most nights. Walkins and guests alike are welcome to enjoy food, fun and magnificent views of the city and the waterfront. 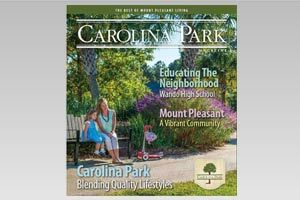 Another on-site restaurant, The Library, has been recognized nationally for its progressive American and Lowcountry cuisine. When you visit the Vendue Inn, located in Charleston's legendary French Quarter, you'll be spending time in buildings rebuilt after the bombardment of the city during the Civil War. Now on the National Register of Historic Places and a recipient of the Carolopolis Award for historic preservation, the Vendue Inn guarantees its guests a fulfilling experience.